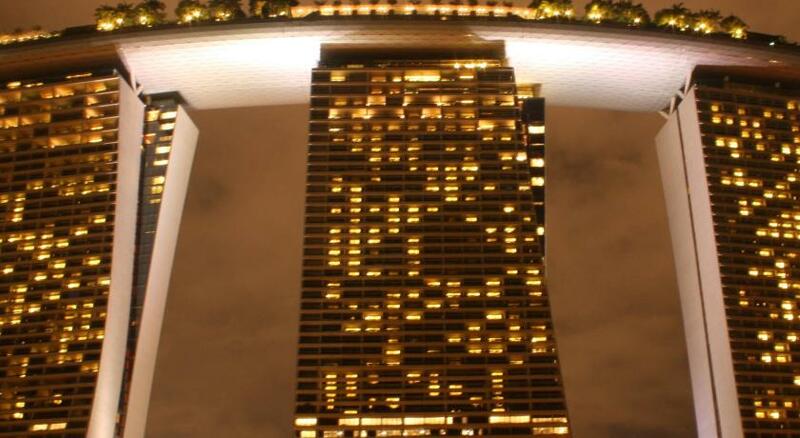 Lock in a great price for Marina Bay Sands – rated 8.9 by recent guests! Staff on the phone and in room dining was very good. Joanne who assisted us with transportation and check in was great. Spacious and nicely fitted room and very friendly staff, we actually managed to get an early check.in (around 11.30AM). Sweet bar at ground floor offers delights and coffee at reasonable prices. Infinity Pool exceptional. It’s overlooking Singapore. The food in the restaurant is good. breakfast is good and the the location is very strategic . the services is also good. Great location, nice views, convenient access to taxis, MRT and stores. Superb pool, nice restaurants and bars onsite. The room is spacious. Very big (biggest hotel room in Singapore I suppose) and comfortable and it comes with the best view. I want to give my compliment to Mr.Rong Rong, my housekeeping staff. He did such a great job and impressed me with things he provided for us each day. Great location for outdoor activities and also for indoor shopping. MBS is such a beautiful place to stay, if you can afford it. The location, though not in the thick of things, is still very close and the MRT station underneath makes it easy enough to get wherever you need/want to go. The Skypark and rooftop infinity pool are all you could hope for, the latter only accessible to guests. We had a club level room with a city view. Club55 offered a great breakfast and evening cocktails (an afternoon tea, as well, which we missed). The infinity pool on the 57th floor is absolutely outstanding and worth the entire trip. Awesome. Nothing like it in any of the other 42 countries I've been to! Marina Bay Sands This rating is a reflection of how the property compares to the industry standard when it comes to price, facilities and services available. It's based on a self-evaluation by the property. Use this rating to help choose your stay! One of our best sellers in Singapore! Towering over the bay, this iconic hotel offers the world's largest rooftop infinity pool, 20 dining options and a world-class casino. It has direct access to Singapore’s premier shopping mall and the ArtScience Museum, which features the permanent exhibition, Future World. Free WiFi is available in all rooms. Furnished with contemporary-style dark wood decor and carpeted floors, rooms at Marina Bay Sands are fitted with a flat-screen cable TV with channels including CCTV4. Floor-to-ceiling windows open up to panoramic views of the Singapore skyline. An electric kettle with Grand Jasmine tea and bedroom slippers are provided in all rooms. Private bathrooms include shower facilities and free toiletries. Marina Bay Sands is located at Bayfront MRT Station and steps from the lively Central Business District. Conveniently connected via a link bridge, Gardens by the Bay is 3,100 feet from Marina Bay Sands, while Marina Barrage is 1.3 mi away. Marina Square and Millenia Walk are within 0.9 mi from the property. Changi Airport Singapore is 13 mi away. In this area you can shop 'til you drop for popular brands like Cartier, Tiffany & Co, Hermès, Louis Vuitton. Located on the lower floors, this air-conditioned deluxe king room opens up to views of The Shoppes (level 2 to 18) or the East Coast Park highway (level 2 to 9). It features plush, gold-and-earth toned furnishings and plenty of natural light from floor-to-ceiling windows. The private bathroom includes shower facilities and free toiletries. Private parking is available on site (reservation is not needed) and costs SGD 12 per day. Located on the lower floors, this air-conditioned deluxe twin room opens up to views of The Shoppes (level 2 to 18) or the East Coast Park highway (level 2 to 9). It features plush, gold-and-earth toned furnishings and plenty of natural light from floor-to-ceiling windows. The private bathroom includes shower facilities and free toiletries. Located on between the 19th to 39th floors, this air-conditioned deluxe king room features plush, gold-and-earth toned furnishings and open up to views of the city. The private bathroom includes shower facilities and free toiletries. Located on between the 19th to 39th floors, this air-conditioned deluxe twin room features plush, gold-and-earth toned furnishings and open up to views of the city. The private bathroom includes shower facilities and free toiletries. Located on the 40th floor and higher, this air-conditioned deluxe king room features plush, gold-and-earth toned furnishings. The private bathroom includes shower facilities and free toiletries. Located on lower floors, this larger air-conditioned premier king room opens up to views of The Shoppes (level 2 to 18) or the East Coast Park highway (level 2 to 9). The room is fitted with a flat-screen TV pre-loaded with movies on demand. The private bathroom includes shower, a deep-soaking bathtub and free toiletries. Located on lower floors, this larger air-conditioned premier twin room opens up to views of The Shoppes (level 2 to 18) or the East Coast Park highway (level 2 to 9). The room is fitted with a flat-screen TV pre-loaded with movies on demand. The private bathroom includes a shower, a deep-soaking bathtub and free toiletries. Located on floors 19 to 39, this larger air-conditioned premier king room opens up to city views and features a flat-screen TV pre-loaded with movies on demand. The private bathroom includes shower, a deep-soaking bathtub and free toiletries. Located on floors 19 to 39, this larger air-conditioned premier twin room opens up to views of the city features a flat-screen TV pre-loaded with movies on demand. The private bathroom includes shower, a deep-soaking bathtub and free toiletries. Located on the 40th floor and higher, this larger air-conditioned premier king room features a flat-screen TV pre-loaded with movies on demand. The private bathroom includes shower, a deep-soaking bathtub and free toiletries. Located on lower floors, this larger air-conditioned premier king room opens up to views of The Shoppes or the East Coast Park highway. It features a flat-screen TV pre-loaded with movies on demand. The private bathroom includes shower, a deep-soaking bathtub and free toiletries. Located on lower floors, this larger air-conditioned premier twin room opens up to views of The Shoppes or the East Coast Park highway. It features a flat-screen TV pre-loaded with movies on demand. The private bathroom includes a shower, a deep-soaking bathtub and free toiletries. Located on floors 19 to 39, this larger air-conditioned premier king room opens up to city views and features a flat-screen TV pre-loaded with movies on demand. The private bathroom includes a shower, a deep-soaking bathtub and free toiletries. Located on floors 19 to 39, this larger air-conditioned premier twin room opens up to views of the city features a flat-screen TV pre-loaded with movies on demand. The private bathroom includes shower a deep-soaking bathtub and free toiletries. Located on the 40th floor and higher, this larger air-conditioned premier king room features a flat-screen TV pre-loaded with movies on demand. The private bathroom includes shower a deep-soaking bathtub and free toiletries. Located on the upper floors, this air-conditioned deluxe king room features plush, gold-and-earth toned furnishings and open up to views of the city and Marina Bay. The private bathroom includes shower facilities and free toiletries. Guests enjoy access to Club55. Located on between the 10th to 39th floors, this air-conditioned deluxe king room features plush, gold-and-earth toned furnishings and open up to views of Gardens by the Bay. The private bathroom includes shower facilities and free toiletries. Located on the 40th floor and higher, this air-conditioned deluxe king room features plush, gold-and-earth toned furnishings and open up to views of the Singapore Strait. The private bathroom includes shower facilities and free toiletries. Located on between the 10th to 39th floors, this air-conditioned deluxe twin room features plush, gold-and-earth toned furnishings and open up to views of Gardens by the Bay. The private bathroom includes shower facilities and free toiletries.